When our little one entered the world, my priorities suddenly changed – all of those little things that used to bother me no longer mattered any more, and the most important thing became loving and protecting my bundle of joy. Being a mummy is one of life's most rewarding experiences, but it's definitely stressful! Having a family to look after means always putting your child first, so your needs can be forgotten, but having a little 'me time' is important as it allows you to recharge your batteries and relax. The next time you need some 'me time', try a few of these ideas, they've really helped me to reclaim my own space and keep me sane! 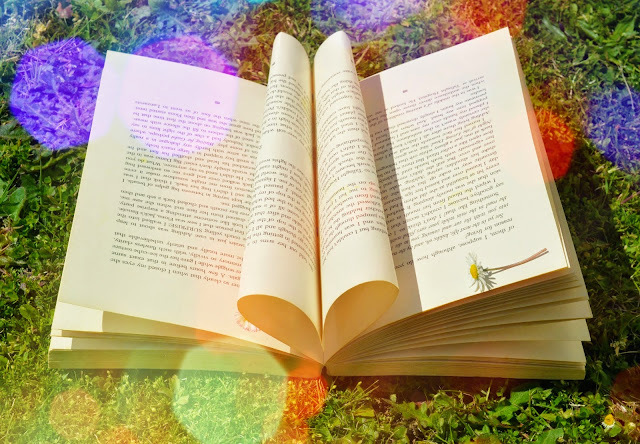 Sometimes the best way to escape your stressful life is to immerse yourself in another world, and this is why reading is a perfect activity for 'me time.' Enjoy a love story, laugh with a group of fictional friends or travel to another country. Let's face it, booking a holiday without your family is practically impossible – plus I'd be worrying about my little one the whole time! Instead, pick a weekend, ask grandparents to babysit and go an Urban Retreats Moroccan spa. These spas are great because they're only for women, meaning you can relax in a supportive environment. Yoga is the perfect exercise to relieve stress as it uses meditative techniques. Committing to just one class every week can clear your mind, alleviate anxiety and help you to cope better when difficult situations arise. Forget pricey dance classes, sometimes the best way to unwind is by dancing at home. The best thing about this is that there's no one to judge, so pick your favourite song on your iPod and start strutting your stuff! Alternatively, have a fun night with your friends as you attempt to learn a dance routine on Youtube. If you're like me, you always make sure your kids are eating healthy, homemade meals. But when it's you and the girls, or you're having a night in with your partner, put your feet up and order a takeaway. There'll be no cooking and no dishes giving you more time to relax. We like to have a takeaway night in our house and I really do see it as a little treat, especially when it's combined with watching a film or Saturday night TV. Trying to keep up a hobby can be hard – especially when you have a curious two year old! Some hobbies can take up a lot of time, so choose an activity that you can do from home. Paint, draw or take up gardening (my newest passion) for a hobby that is both flexible and therapeutic. I've seen a lot of people fall in love with adult colouring books recently and I really want one for myself now. How do you take so 'me time' as a mother? I need to listen to you, I rarely have any 'me time'! It's funny because this list is full of my favorite things to do. I absolutely agree, a spa day is the most enjoyable thing to do, along with reading a book. Reading always feels like a mini vacation to me. If the book is really good you almost feel like your right there. I couldn't agree more with your sentiment about reading. Before I took it up as a hobby, I found myself stressed with my everyday life with no real release. Television and movies, no matter how much I loved them, couldn't provide that for me. However, as you said, taking a book and immersing yourself in another world is the perfect way to let go of all of your troubles. Also, ordering takeout is another stress relief we do often in our house... Too often probably. Wow, that is so true. All mothers do need some me time. That is very important to being ans staying a good mom. We all need time to destress and refocus! You are right...I haven't had any me time lately while chasing around two boys (babysitters are on vacation and school is already out--arg) so I am stressed to say the least. I would really love to have time to read for myself. I just need to find some time in my schedule to read. Anyone with a busy or even just a normal, humdrum life, needs 'me' time to just chill for a bit, blow away the cobwebs and recharge the batteries. You've given us some great ideas and there are many more, whatever takes your fancy! Just do it! I got up at the crack of dawn & went to the beach for the Spring Solstice and just sat watching the sun rise. I often set the alarm early so I can hear some of the dawn chorus and it gives me a little bit of breathing space before I face the day. I live for my me time!! I have been able to squeeze in more me time with the kids being in school all day now instead of half days and no school. These are great ways to get in me time as a mom! My me time is painting Chloes nursery while she's asleep at the moment. other than that its grocery shopping without the kids, town on my own in general, a trip to Dublin, a concert with my friend, . Weekend away to visit my friend. take away is not me time anymore as Chloe is active in the evening time. I was just talking about this with my hubby. I just had an hour of solitude, which I never get, and it was amazing. I was sitting in a Dr's office still yet, but again, amazing! I enjoy reading 1800s romance when I get the chance to read. Now that my son is in school, I actually schedule some "me time" during the day in the middle of my work day. I used to do the same thing when my daughter began school before I had my son. I chunk my time when working. Hence, in between the time chunks I deliberately take time to do something I want to do. Whether it is quiet time, movie time, solo dance time, whatever as long as it is "me time". Yes, yes, and yes to everything youve said. Nothing is more important than finding time for oneself. I have 2 kids and I know that between work, house chores and homework it can be hard. I'm trying to take a few he's a week for non related work or kids, and just sleep or listen to music.